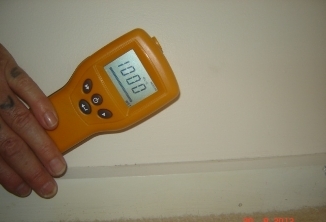 The photo above shows that towels have been used to stop water from soaking into the walls However, the photo opposite shows that the was saturated with water, at a reading of 1000. 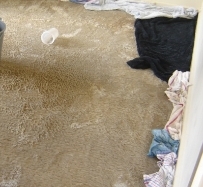 This secondary water damage was the result of wet carpet that was dried using towels by the home owner. This damage was not obvious to the home owner.